Beautiful Swarovski crystals dangle from the bottom of these hoop style drop earrings. 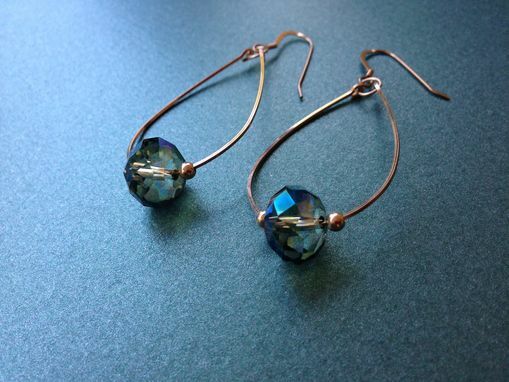 The color is aquamarine but you'll see shimmers of purple, pink, bright blue, and even green! 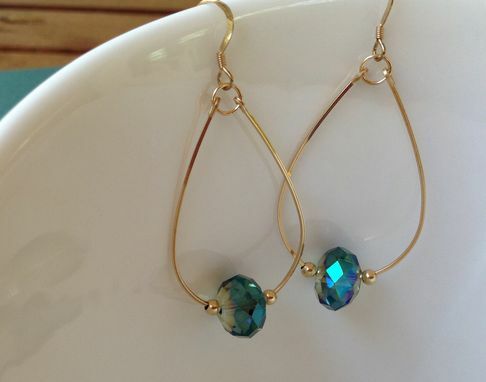 I formed the hoops from 14K gold filled wire, and added 14K gold balls on either side of the crystal. They are finished with 14K gold filled french hooks. 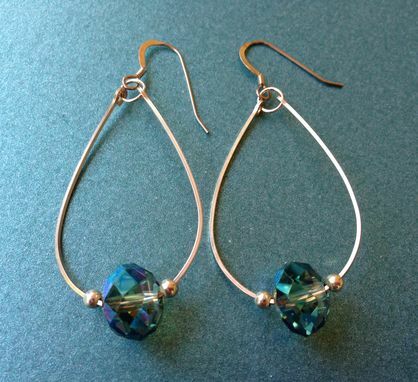 These earrings hang 2 1/4" from top of the french hook. Great Mother's Day gift! !